More lives are being saved through organ donations thanks to groundbreaking legislation, says the Welsh Government. 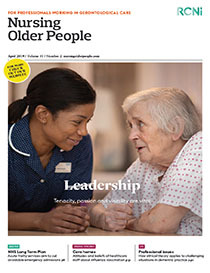 A YEAR ago NHS England called for applications from organisations across the country to become vanguard sites for a new programme of care models. Targeted treatment with ‘soft’ chemotherapy may be effective in the care of older people with secondary breast cancer and could increase survival rates.